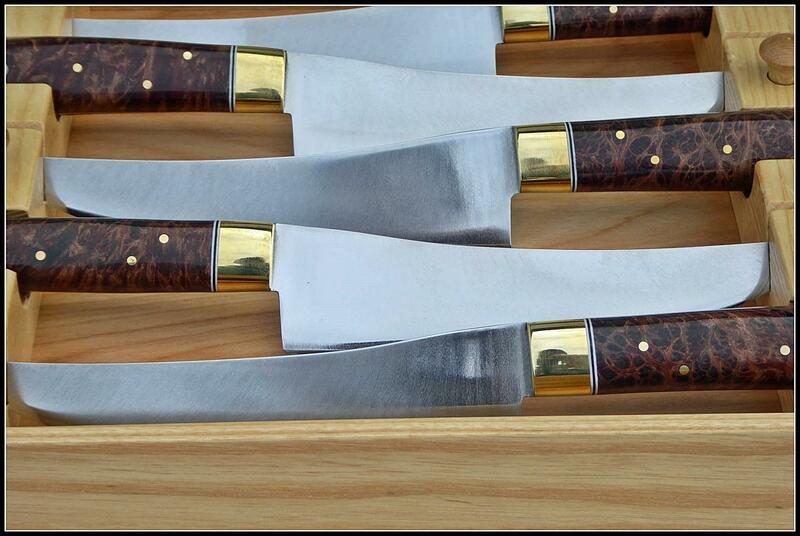 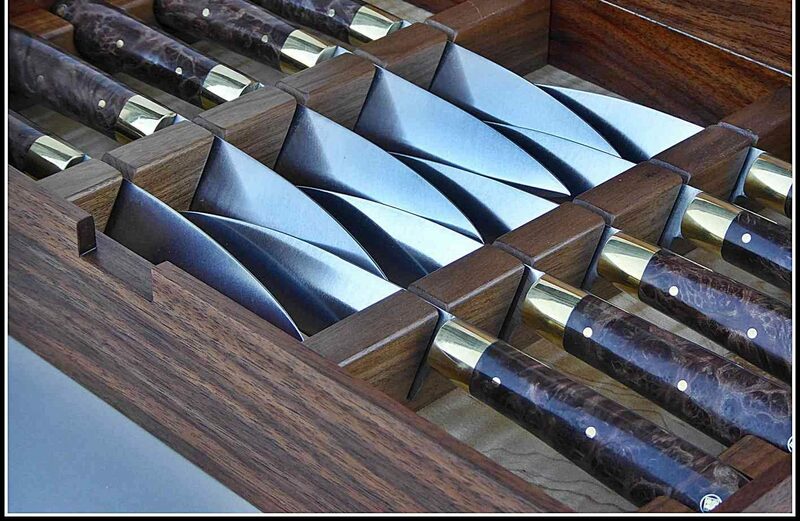 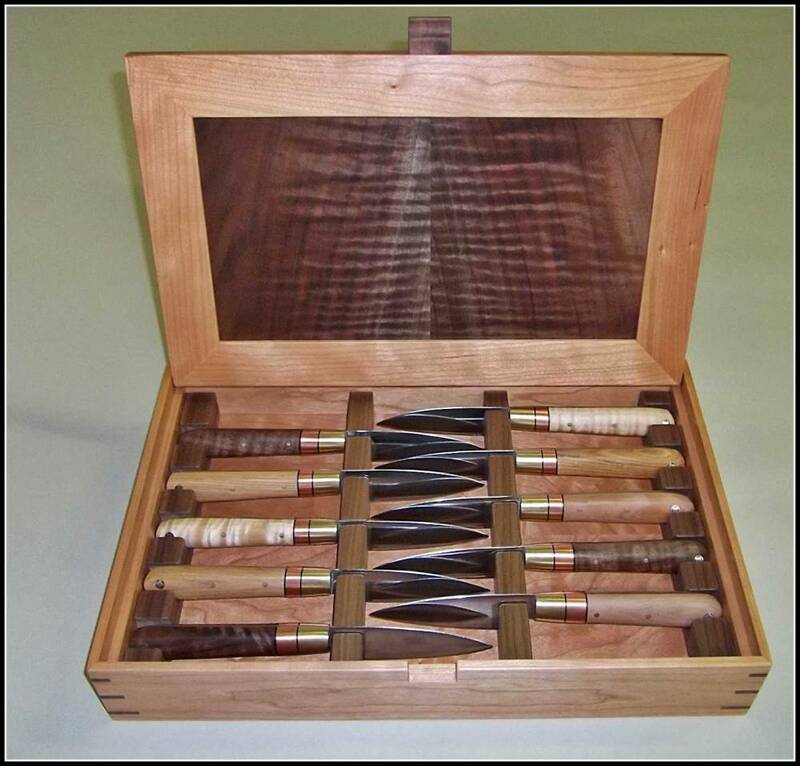 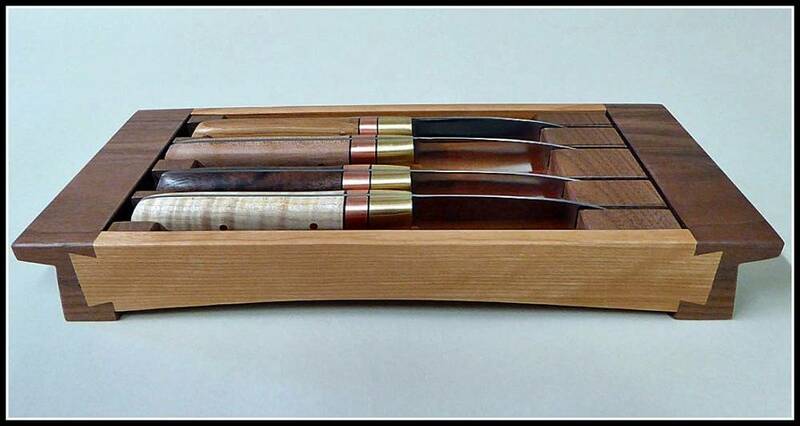 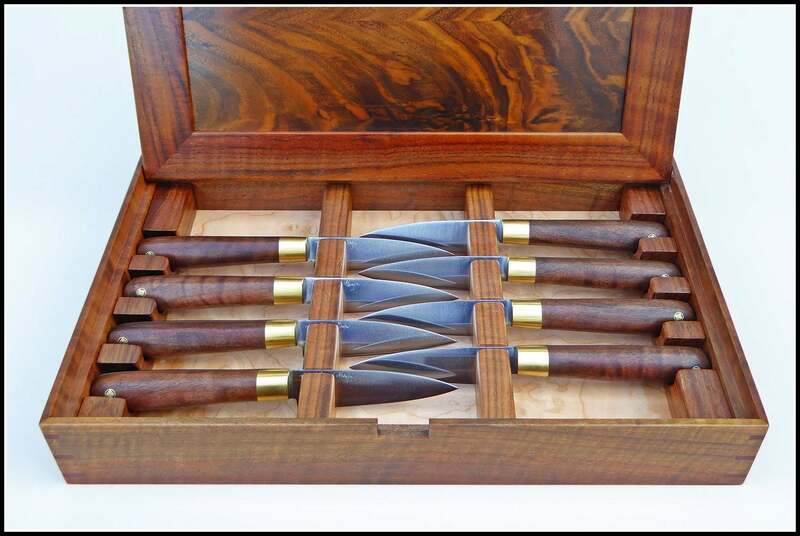 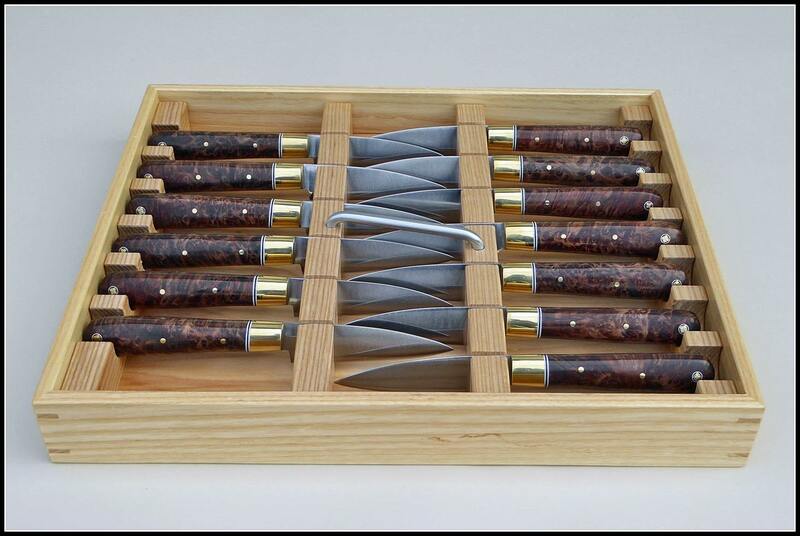 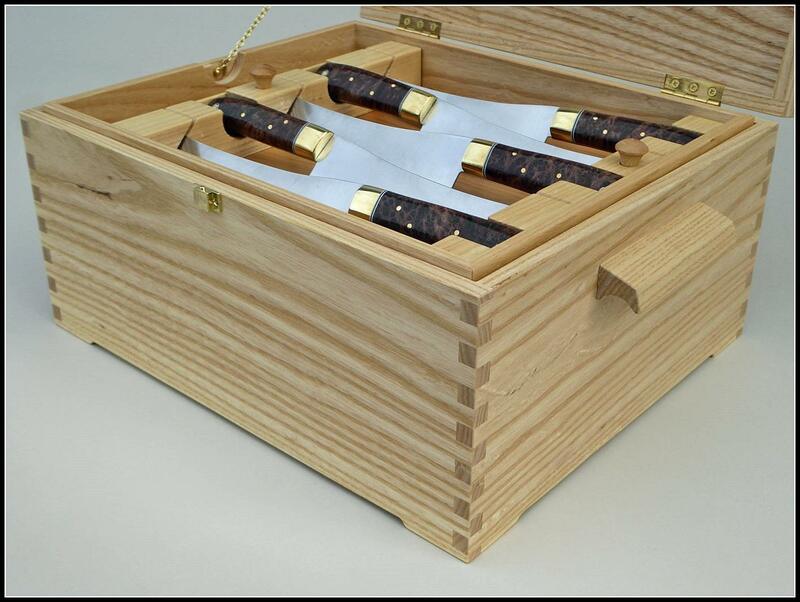 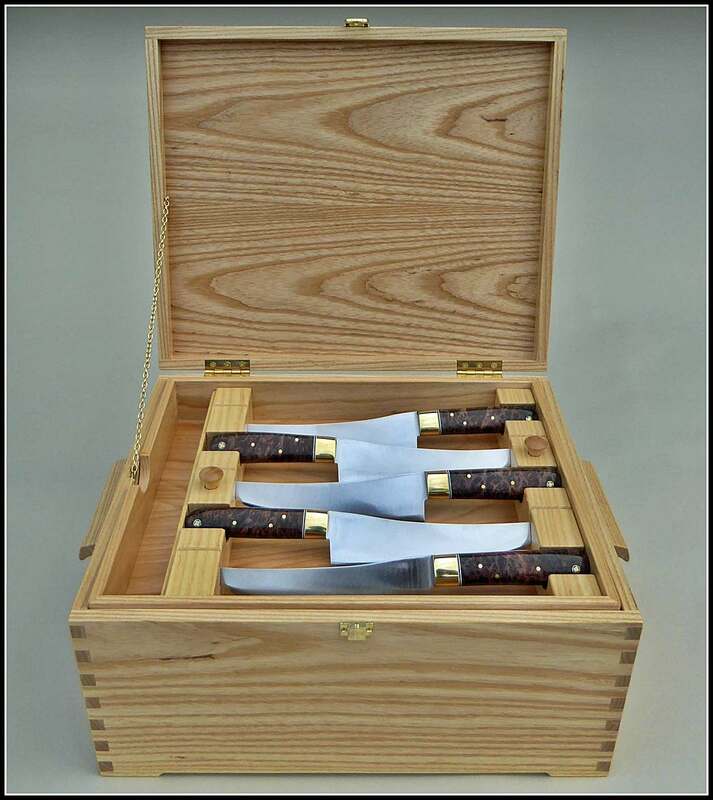 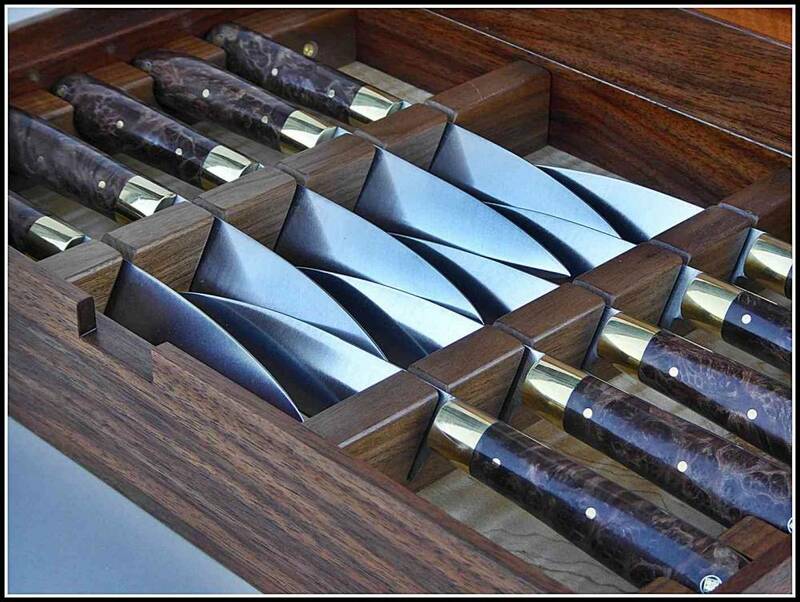 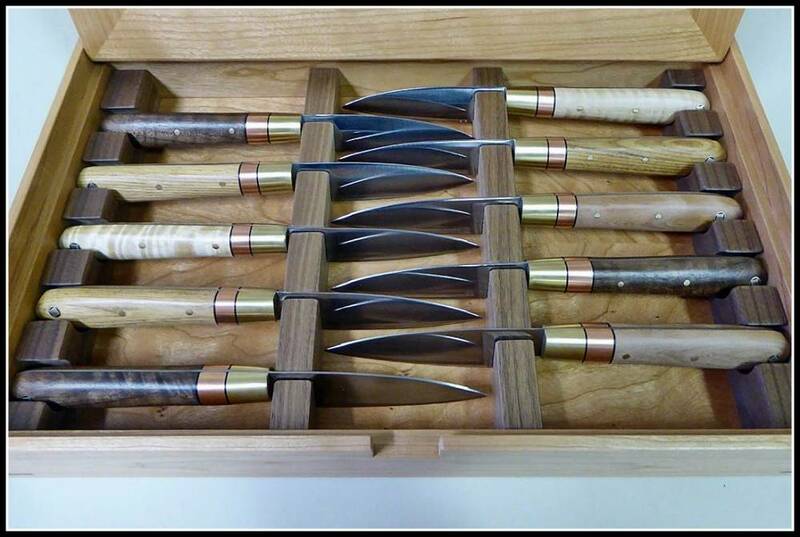 I have made my custom steak knives for fine Michelin starred restaurants, all over the globe. 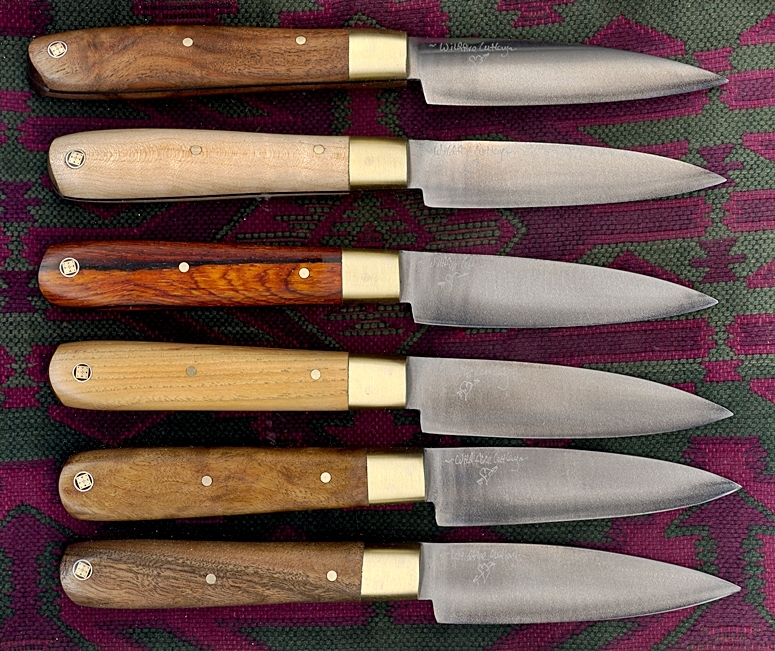 Three are; Atelier Crenn in S.F. 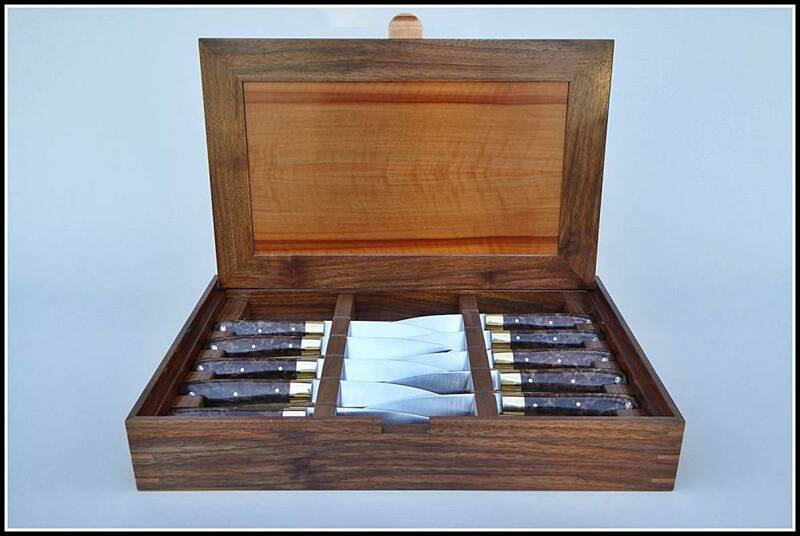 , Willows Inn on Lummi Island, Washington and Burnt Ends, in Singapore. 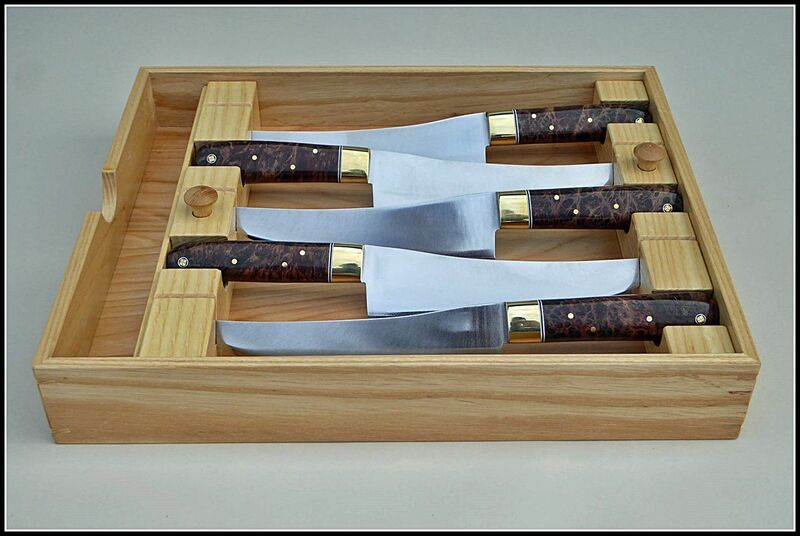 See slide show below for latest work for Atelier Crenn in San Francisco. 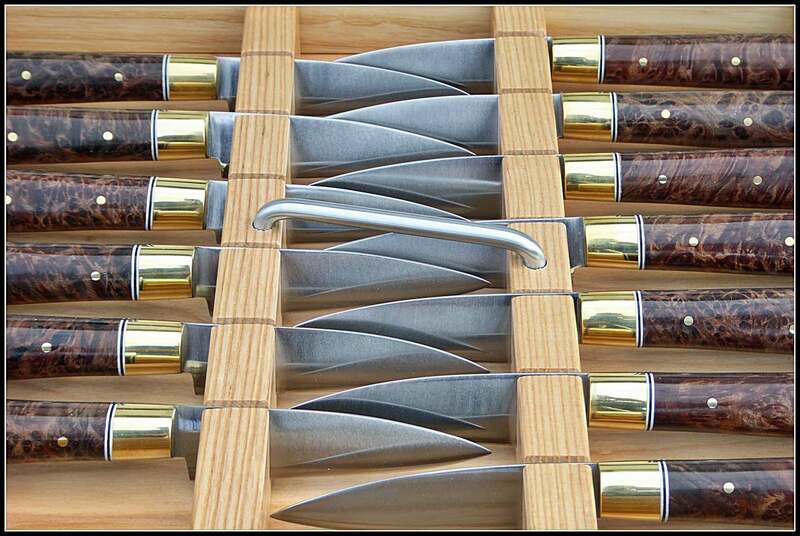 I cannot afford, at the above price discounts, to offer more of a discount for orders of more than 12 steak knives. 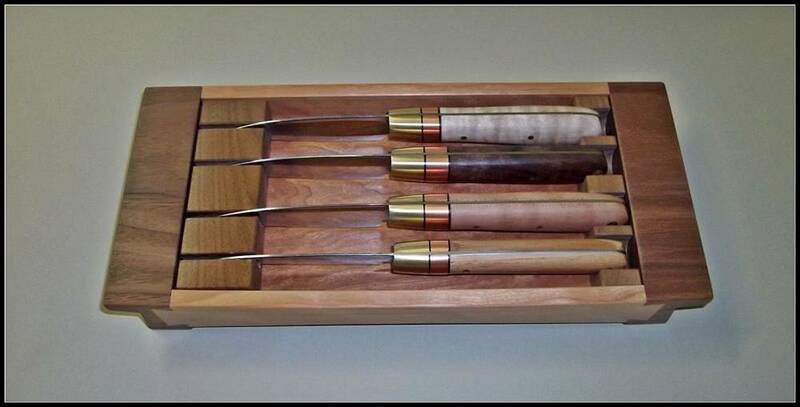 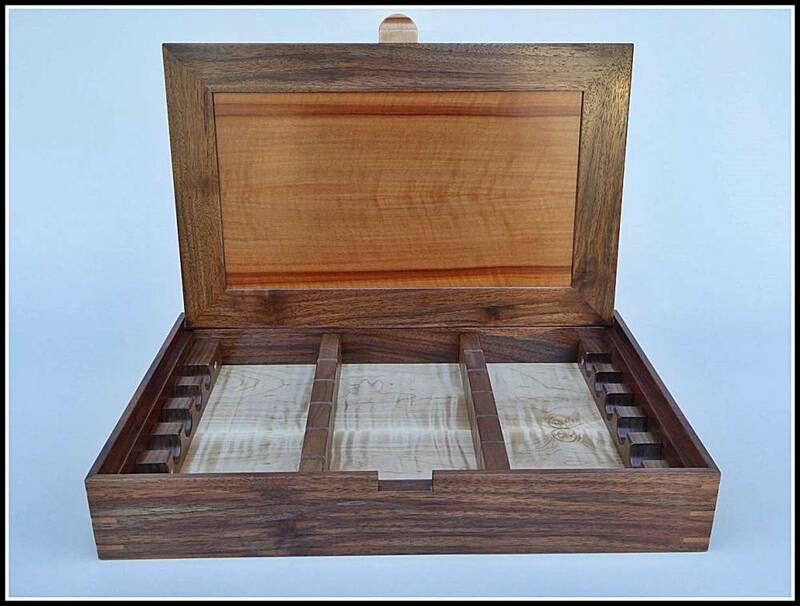 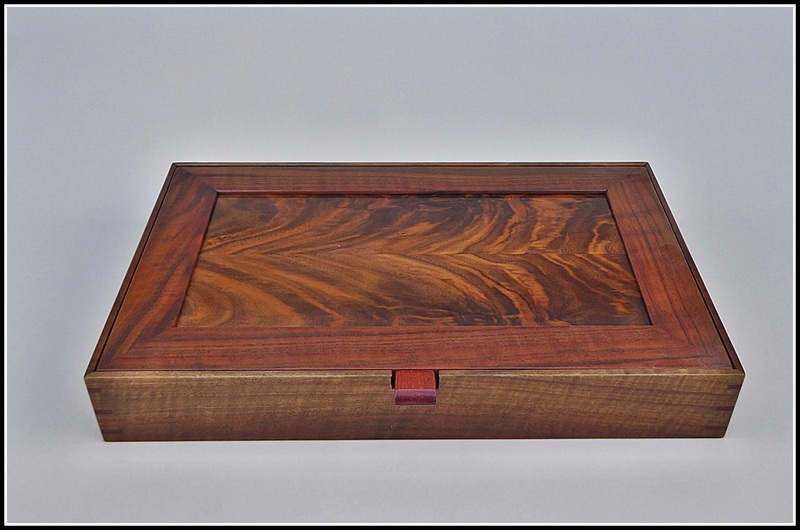 I can make the handle woods match, or offer an assortment of woods. 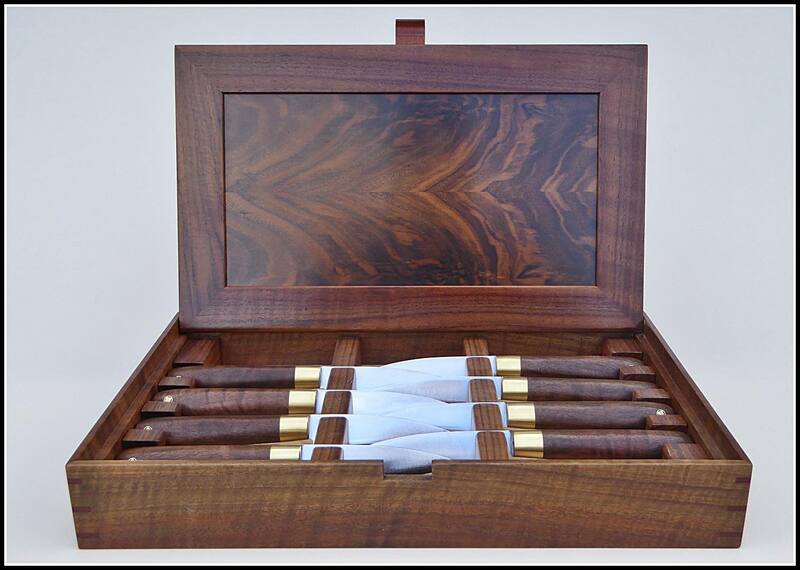 If you would like exotic woods, I can order that in. 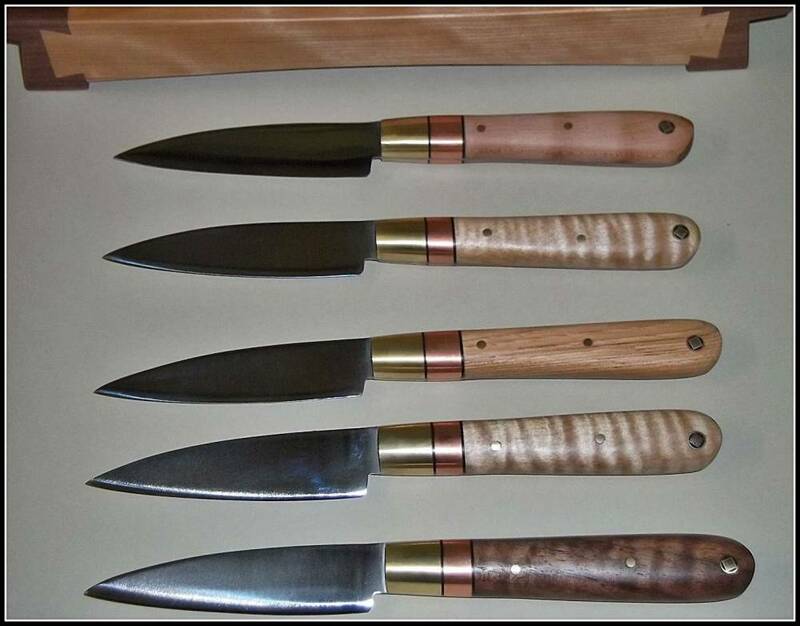 I can also make them with thicker steel or a longer/shorter blade for an additional charge. 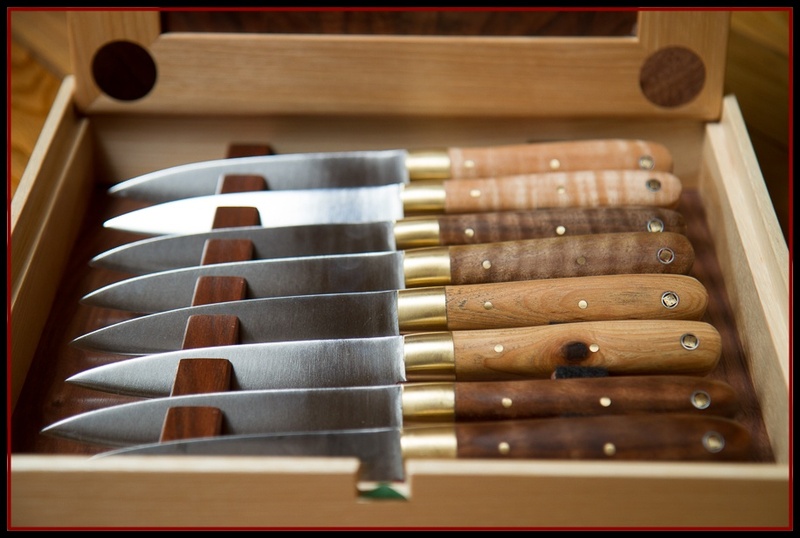 Each steak knife has a 1 inch x 4 inch blade and is made from 1084 high carbon tool steel. 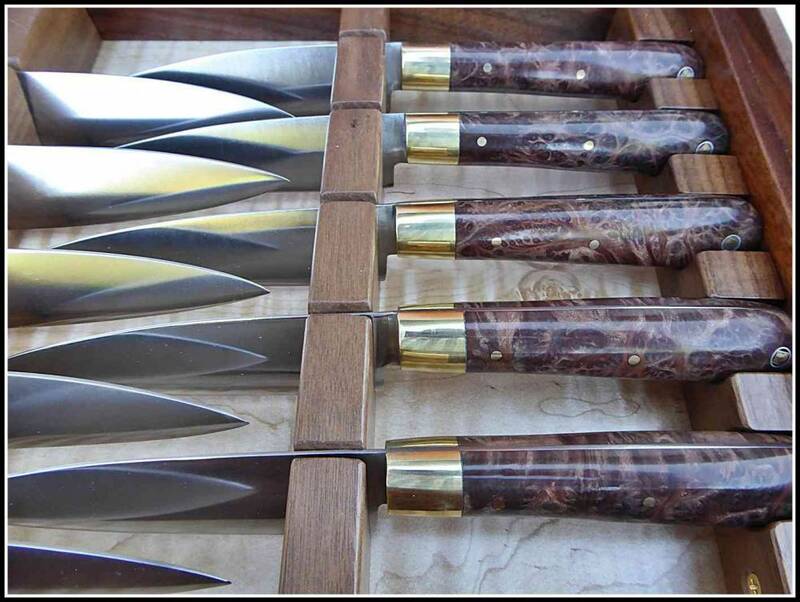 All steak knife handles are 5″ long. 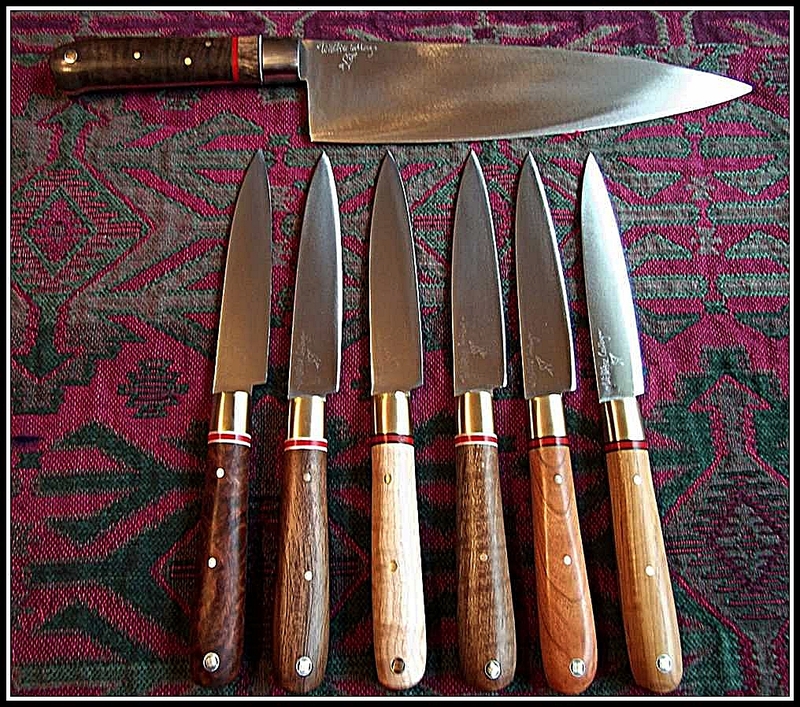 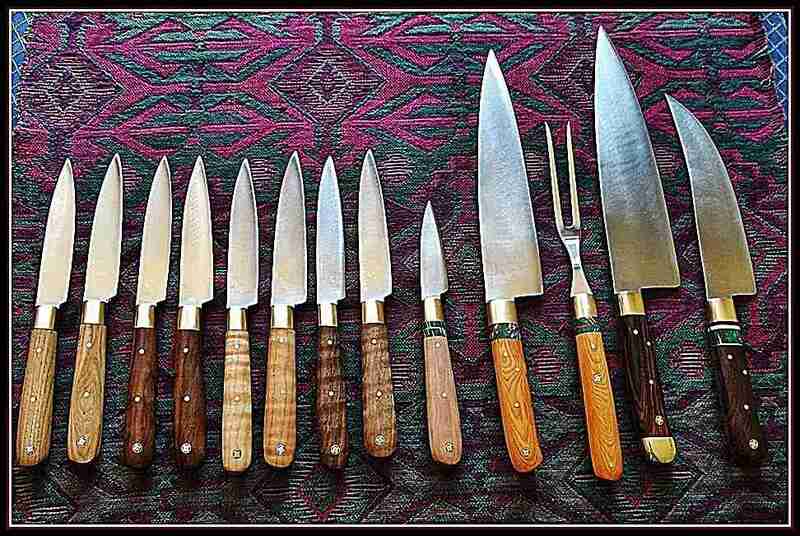 I can and have made many steak knives with 1″ x 5″ blades and 1.5″ x 5″. 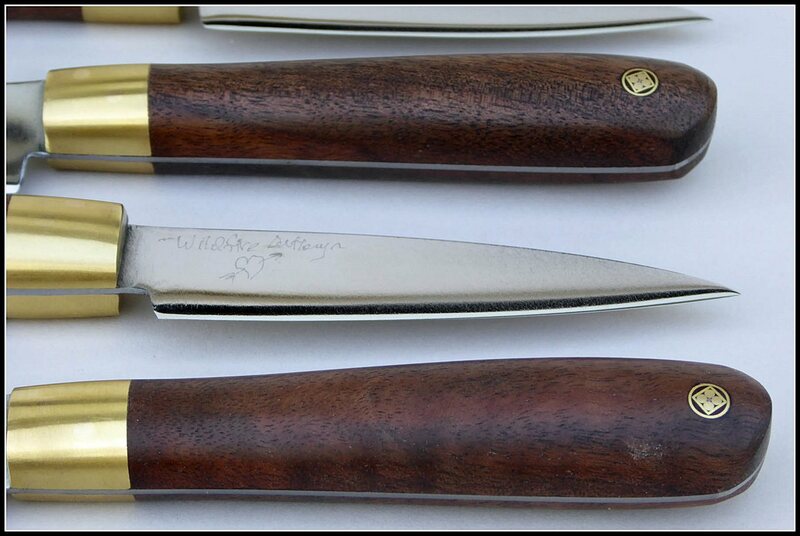 Discounts below are the same and you can run the discount numbers on your own or contact me for more design options, such as 1.5″ width with 5″ blade. 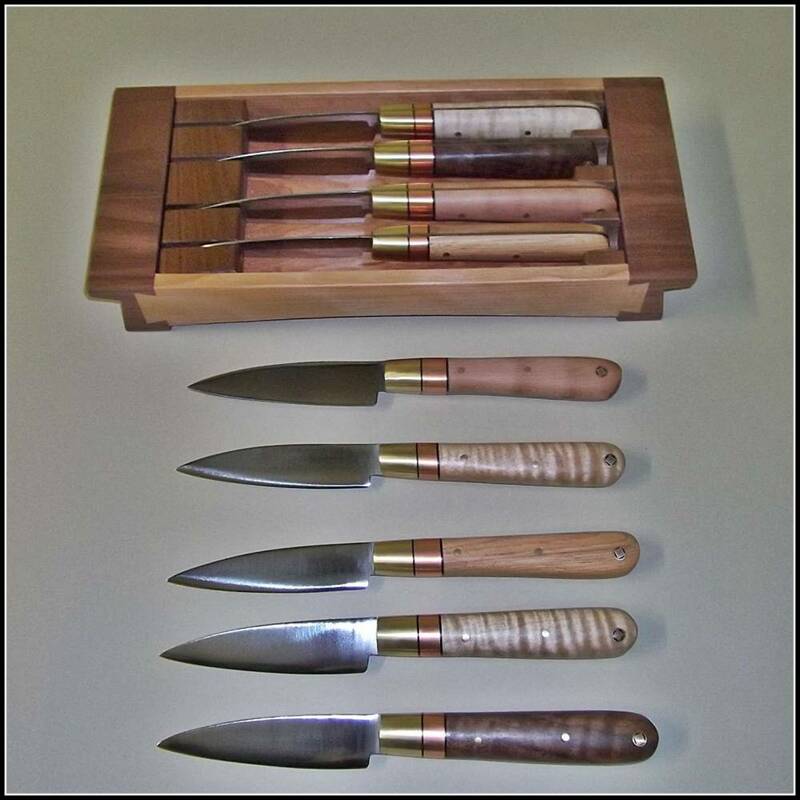 1″ x 4″ kitchen knife retail price is $ 89.00 each. 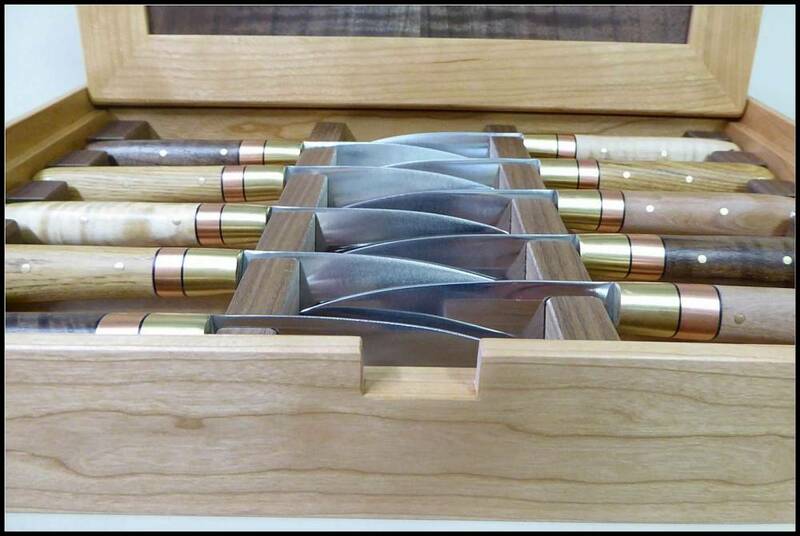 1″ x 5″ blades are $106.00 each. 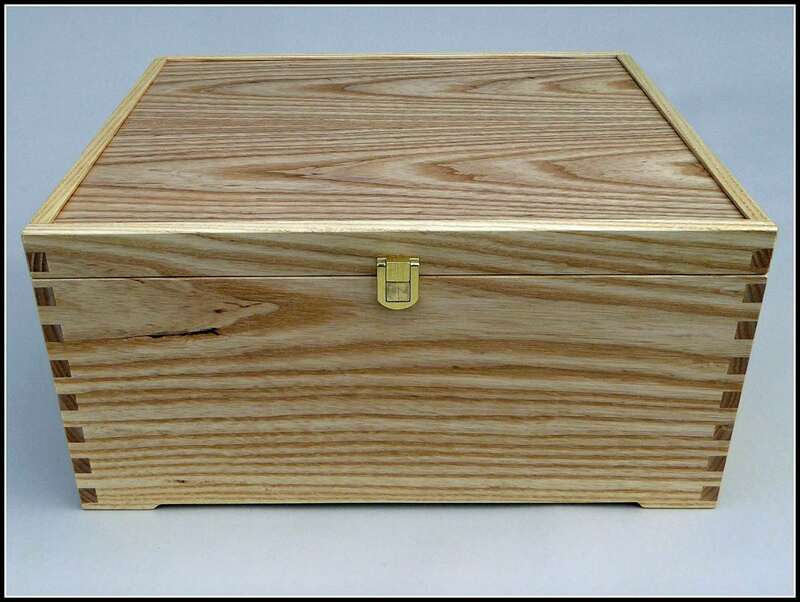 1.5″ x 5″ – sells for $104.40 each. 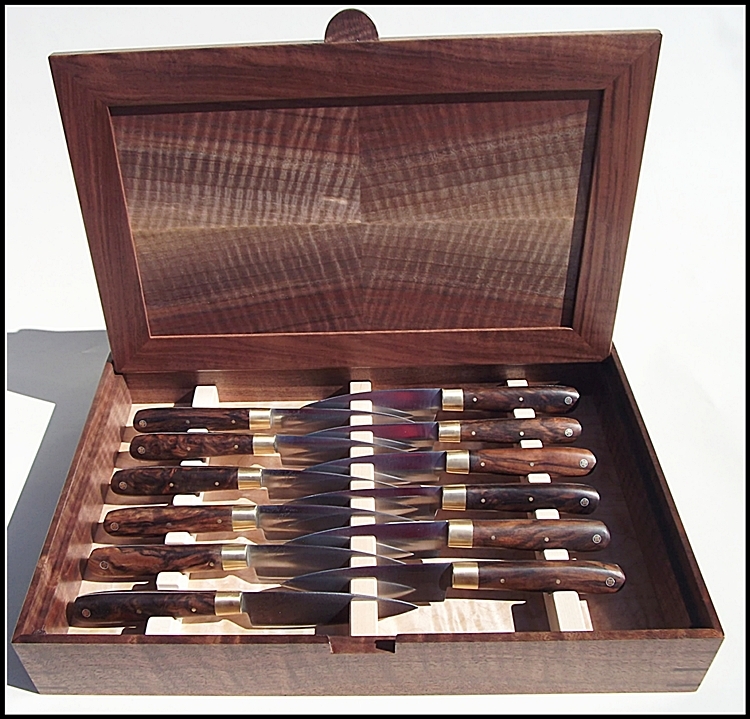 If you want to order more than 12 pieces, email me about whether timing for this order is right, and for further details, but 10% is maximum discount offered. 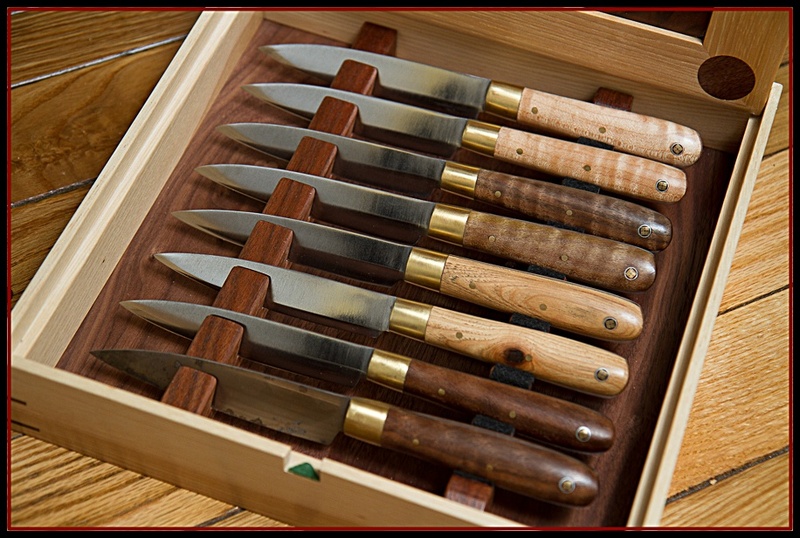 Note – If you choose one or more add-on’s for your steak knife handles, these are not discounted, but will be charged full cost.The same with stabilized Redwood. 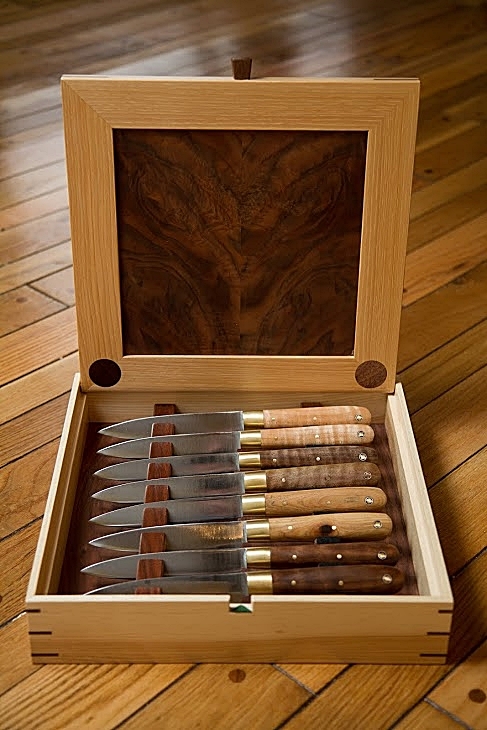 Steak knife set concept as designed by and for Dominique Crenn, chef at Atelier Crenn of San Francisco. 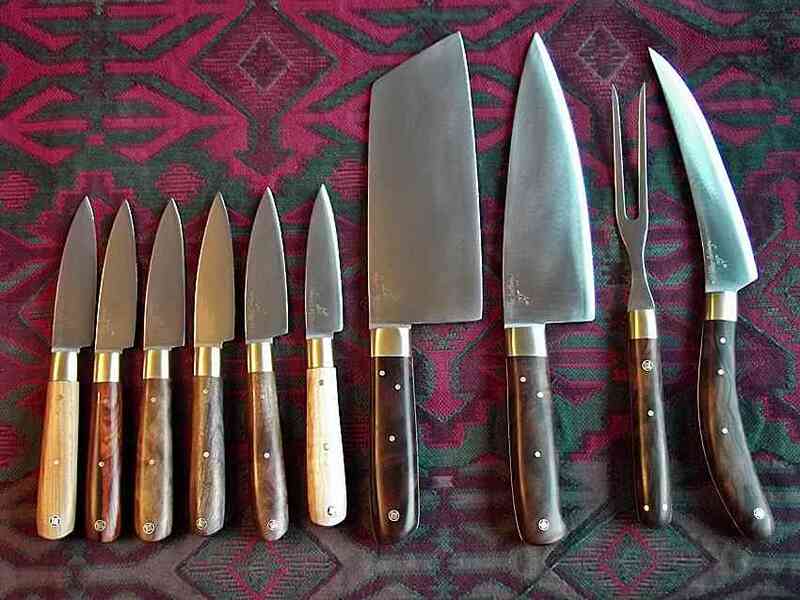 For further description, see slideshow.